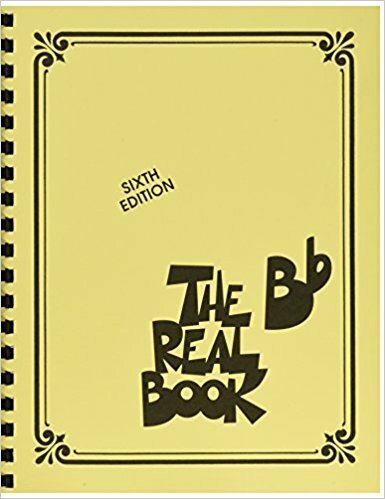 For ages jazz trumpet players have used a ‘fake book’ (or’Real Book’) in practice and live gigs to provide them the music and chord changes for hundreds of songs ‘Fake Book’ and ‘Real Book’ are terms often used interchangeably but both describe a big book of lead sheets. So what’s a lead sheet? It’s the written melody of a song along with symbols for the chords on which the song is based. 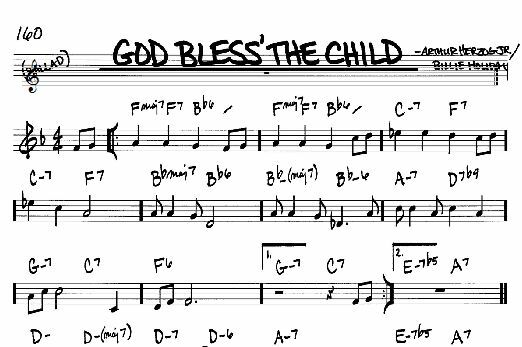 Those chords are used for improvising, but even if you don’t know how to read the chord symbols, trumpet players can simply read the notes as they would with any sheet music. It wasn’t long ago that in order to get a fake book you would have to request it from the sales counter at your local music store. The clerk would retrieve the book from under the counter and give it to you in plain brown paper. I never personally heard of anyone getting busted for buying or selling the book, but it was generally understood that it likely violated copyright laws. Today, things are different. The Trumpet Real Book, along with various versions of fake books are legally published and sold in the light of day. Lucky for us! The book includes hundreds of jazz songs along with a few pop songs. The songs range from fairly obscure to well known jazz standards. One benefit of playing standards is that the songs are relatively well known so you’ll be able to find a variety of performances of the songs (both online and offline). And with a little further searching, you can often find play-alongs, or backing tracks online for the more popular songs online. This is a huge benefit because playing along with the audio accompaniment helps you learn tempo, rhythm, and phrasing in ways that are quite challenging on your own. This is why I especially recommend playing lead sheets along with backing tracks to those who are learning independently, and not a member of a school band or community music group. Here are two of my recommendations for fake books/real books. 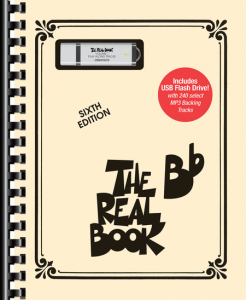 The first is the standard Real Book. It’s over 450 pages of music. Plenty to keep you busy for months (years?). The second is actually the same book but it comes with 240 play-along backing tracks. Wait, 240??!!! That’s right. The tracks are all stored on a USB drive that you can simply plug into your computer and play along. The Real Book is one book you’ll never graduate from – It’ll be useful as long as you play the trumpet, making it one of the best purchases you can make. Disclaimer: The trumpet Real Books on this page are ones I use myself and with my personal students. eTrumpet Lessons participates in affiliate programs and if you purchase items on this page the seller will send me a small commission supporting eTrumpet Lessons at no additional cost to you. eTrumpet Lessons also partipates in the Amazon Services LLC Associates Program, an affiliate advertising program designed to provide a means for us to earn fees by linking to Amazon.com and affiliated sites. 6 Responses to Wait… Trumpet Music Used To Be Illegal? Is this available in the UK? If so, how much is it please. For the stand-alone Real Book, try clicking the link. It should take you to the Amazon UK product page. For the same book with the backing tracks, try this for Amazon in UK. If you search in Google Play or iTunes for ‘real book Latin backing tracks’by Midifine, you’ll find something. It’s pretty limited (15-16 songs?) but it’s something. You might also have some luck searching in Spotify, Pandora, YouTube for the song name + ‘backing track’ for individual songs. Help in playing trumpet? If you’ve already taken my free email course and found it helpful, please visit http://etrumpetlessons.com/video-trumpet-lessons-online/ to learn how to get the full course, or for one on one interaction, try Live Academy.